Big Boss Brewing Company makes four beers, and this is one of them. Here is a previous review of their Helle's Belle Ale. 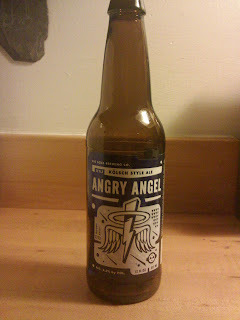 Which I guess is the natural antagonist to this here review of the Angry Angel Ale, both in beer label (devil vs angel) and overall beer quality (great vs not so hot). 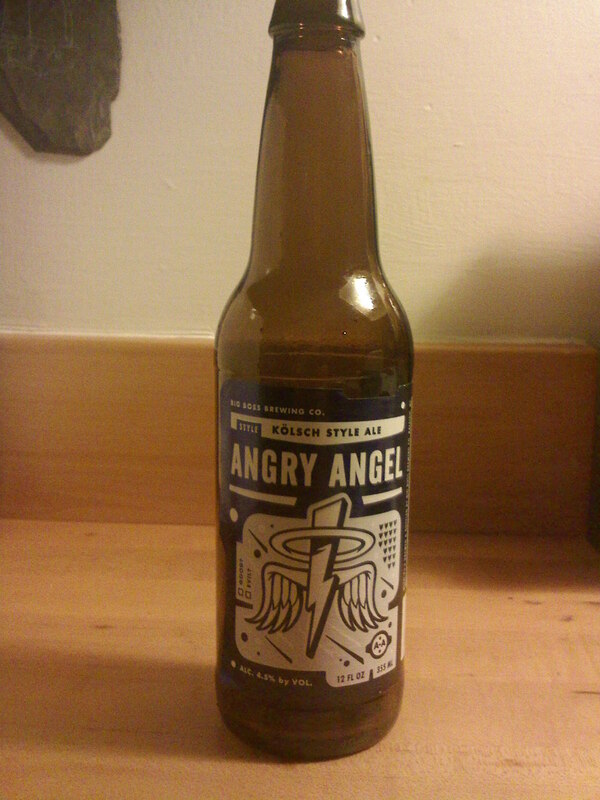 The Angry Angel Ale is a Kolsch style ale, which is a variety that is brewed in Cologne, Germany. It is signified by a light, straw-yellow hue, and has a slight hoppy bitter taste to it. Traditionally, Kolsch style ales were served in tall thin 200 ml glasses, but seeing how that isn't enough for a large German man (or woman), some bars serve them in larger 300 - 400 ml glasses. I think thats a great idea, as the more beer the better. The 200 ml glasses are called "poles" in German. Can you imagine saying "I'm going to take down a couple poles?" or "Time to enjoy another pole?" Hehe. The BBBC Angry Angel Ale falls in line as a Kolsch style ale, as it is light in color and has a slight hoppy taste to it. But the taste is very weak. My lovely bride said it tastes like water with hops. Which is true, as beers are made from water and hops, but she meant that it has little to no taste. Which it does. They should sell it as "beer-flavored" sparkling water at Wal-mart for $0.69 a liter. Which would be a helluva deal, which this beer ain't at $9 a six-pack and only 4.5% ABV. 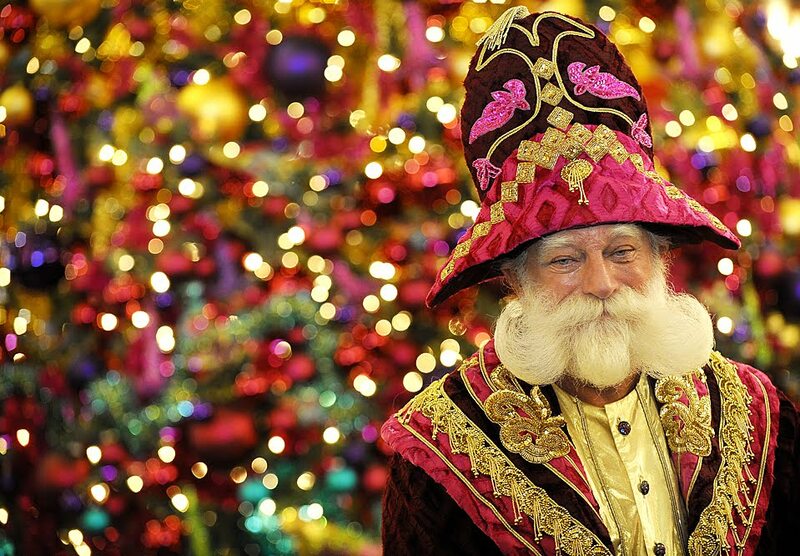 Despite its weak taste, it still tastes good, and you could pound these all day with the German Santa Claus. In the battle of the BBBC Helle's Belle vs the Angry Angel, go with the Helle's Belle. Evil always wins.